Your local wood needs you! The Woodland Trust is the UK’s leading conservation charity, caring for the long term management and conservation of Canal Wood, a low lying wet woodland site forming a linear wedge between the old canal to the east and the mainline railway to the west. The southern section is wetland consisting of rush, sedge and reed beds linking into the canal and the wet pasture to the south. The northern section is planted to the north west and has more reed beds to the NE. Thus approximately half of the site is wetland with many ditches running west to east into the canal ditches. The Woodland working Group Member will form part of a working group of volunteers that focuses on performing practical tasks within the Woodland Trust’s site in line with the management plan and as agreed with the Woodland Working Group Leader and the Volunteer Manager. 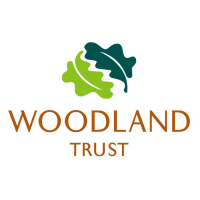 This role will contribute towards the Woodland Trust’s strategy of preserving, growing, maintaining and restoring woods and trees across the UK. This role supports your local woodland through the activities of the group and we hope this will encourage local people to use and respect the facilities of the wood and increase its value in the eyes of the local communities. Apply via the short form on our website.